ZWICK is a leading manufacturer of valves which meet highest requirements and quality standards. The product range contains metal-seated butterfly valves known as series TRI-CON, the check valves series TRI-CHECK and the TRI-BLOCK series, ZWICK’s Double Block and Bleed Design. 30 years experience in design and production of valves guarantee high standard products. ZWICK valves are produced state-of-the-art. The triple offset butterfly valves are specially designed for critical services where they are used as shut off and control valves. The in-house design enables offering customized solutions for individual applications like the global Industries of Oil and Gas, Chemical, Petrochemical, Energy, Offshore and Steel. TRI-CON valves incorporate a unique third offset design with a true cone-in-cone seating and a reliable zero-leakage performance and allow bi-directional tightness. The ZWICK self-centering disc design that is keyed to the shaft accommodates differential thermal expansions of the disc and the shaft. The triple offset geometry assures friction free running without radial loading of the seal ring and break-away torque. The TRI-CON series reaches a superior unrivaled life time cycle. For critical services a patented sealed bearing solution is offered to prevent fouling of the bearing associated with line media. ZWICK’s zero-leakage bearing design assures that no line media will migrate into bearings cavity. TRI-CON’s standard graphite packing meets all requirements of TA-Luft for fugitive emissions from the shaft and packing arrangements. All triple offset valves are certified according to Fire-Safe to API and British Standard. ZWICK rotary process and check valves of the series TRI-CON, TRI-CHECK and TRI-BLOCK are in use worldwide. To ensure the best customer service possible we cooperate with many sales partners all over the world. 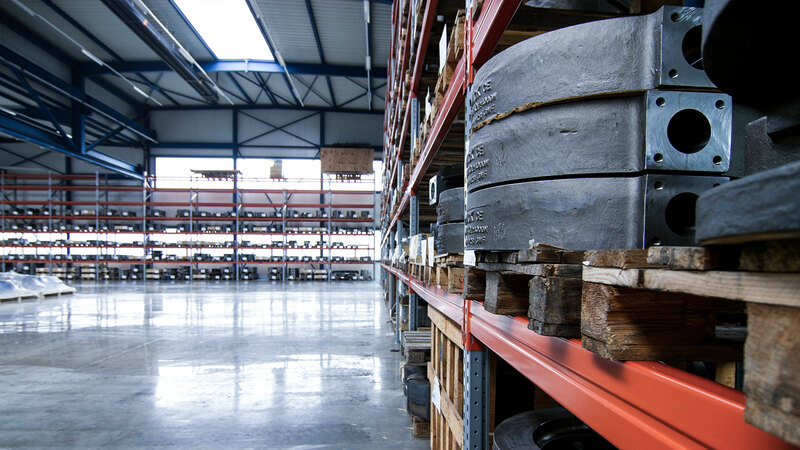 Using more than 16.000 sqm production and storage area ZWICK is in the position to react flexible and in time, to achieve short-term deliveries and customized solutions. The valves are available ex stock in different materials like Carbon Steel, Stainless Steel, Duplex and Superduplex, Brass and Alloys. ZWICK guarantees maintenance-free operations also in non-standard conditions through an accurate processing of all components Made in Germany. To guarantee high quality standards the production is settled in Germany. Modern and innovative production processes with precise machining are special features ZWICK provides to their customers. Manufacturing of the valves on highest level minimizes the natural wear and achieves operating cycles without comparison. Only highest Quality Standards guarantee high technical level. Therefore ZWICK is certified according to DIN EN ISO 9001:2008. Valve testing according to the directive of Fire Safe and Fire Tests.